May | 2016 | What Did You Say? After the judge on Trump University lawsuit released some court documents it was revealed everyone connected to this lawsuit has some MAJOR political issues with Trump. Even as a federal judge rules against Donald Trump and today unsealed hundreds of documents related to the lawsuit against Trump University, a new bombshell in the case has just been revealed. Turns out, one of the two law firms representing plaintiffs in this case against Trump — coincidentally, appointed by the judge overseeing the case whom Trump has (it appears rightly) accused of being “hater” and “very hostile” — have some ties to Hillary and Bill Clinton. As in half a million dollars worth of ties. It seems that Robbins Geller “paid the Clintons nearly half a million dollars in less than a year.” Why? Speeches of course. That’s right. One of the law firms picked by the Judge in the Trump University case — the very Judge Donald Trump accuses by name of anti-Trump bias — awarded this firm the case after — say again after — Hillary and Bill Clinton had been paid a cool $450,000 for two speeches by the firm. While one might have expected this connection to Trump’s presumed rival in the campaign to be called out as a potential conflict of interest, amazingly, this hasn’t happened — either in the courtroom or in the press. And, of course, this isn’t the only connection in the case against Trump University that would raise eyebrows, at the very least, or lead one to wonder if this isn’t just a big charade — witch hunt — aimed at trashing the presumed GOP nominee. As The American Spectator reports, several other key players in the lawsuit have some interesting ties to Democrats. The judge Gonzalo Curiel himself, whose Hispanic heritage Trump has called out, is an Obama appointee and has been honored by “his leadership and support” to the San Diego La Raza Lawyers Association, whose purpose is to advance the cause of equality, empowerment and justice for, not all attorneys of any race, but specifically Latino attorneys and the Latino community in San Diego County. A hospital in Poland has stopped doing abortions after every single physician there signed a pledge refusing to do them. This good news is a lesson for the United States and other countries where abortion is legal — that getting doctors to stand up for life and the Hippocratic Oath is a method of protecting women and unborn children even within the confines of legalized abortion. Over the weekend, the nation became engulfed in a massive debate about a gorilla at the Cincinnati zoo who was shot and killed after a baby boy accidentally tumbled into his sanctuary. I hoped to avoid comment on the killing of Harambe the gorilla. But I keep getting asked, so here goes. The conservative leaders of the #NeverTrump movement are reportedly trying to recruit pro-life attorney David French as a conservative alternative to presumptive Republican presidential nominee Donald Trump. With the conventions of both political parties coming closer and closer, and with the infighting between Hillary Clinton and Democratic Socialist Sen. Bernie Sanders growing more vituperous by the day, it can’t be a good sign for the former Secretary of State when the editorial page of the Washington Post rips into her, as does sympathetic Post columnist Dana Milbank, and even Democratic flack NBC’s Chuck Todd voices skepticism. A few years ago, I met a young man who was raised Catholic. Jeremy ended up coming to our church through a mutual friend, and we became friends. Abortion is mandatory at Planned Parenthood. In 2011, the abortion business began requiring that all of its affiliates do abortions; and this week, the effects of that mandate continued with a new mid-west merger. A funny thing happened on the way to Hollywood. Why are British Midwives Being Forced to Assist With Abortions? Copyright 2003-2016 LifeNews.com. All rights reserved. The Obama administration and other liberal Democrats, including Hillary Clinton, keep telling us that America needs to open its borders to the millions of poor and refugees. They claim that we should be giving them the same opportunities that our ancestors were given when they came to America. Obama says that we should allow tens of thousands of political Muslim refugees into the country as well. But can American taxpayers – you and me – afford to take in millions more of the poor and refugees? Last year, I reported that based on 2009 figures, it’s costing US taxpayers $83.8 billion a YEAR just to cover all of the costs incurred by illegal aliens already here. Now consider the fact that the yearly cost to Ohio taxpayers in 2009 was $563 million for 110,000 illegals, amounting to $5,119 per illegal. A 2012 report placed the annual cost for illegals in Ohio at $879 million. That’s an increase of $316 million (56%) in just 2 years under the Obama administration’s failure to enforce federal immigration laws. Those costs include $364 million for K-12 public education, $84 million for medical services (which you and I don’t receive), $81 for welfare, $79 for law enforcement incurred due to illegals, and $32 million for prison costs for the nearly 800 illegals in prison. It’s likely that the annual cost to Ohio taxpayers in 2016 to cover all of the expenses incurred by Obama’s illegals will easily exceed $1 billion. Considering the population of Ohio in 2015 was 11.6 million people, that’s $86 per man, woman and child. An average household of 4 are on the hook for $344 a year to pay for illegals. In Texas, the yearly cost to taxpayers in 2009 was $6.878 billion for 1,810,000 illegal aliens, amounting to $4,905 per illegal. A newer report states that in 2013, it cost Texas taxpayers $12.1 billion a year to cover the costs of illegals. The same report stated that breaks down to ‘more than $1,197 for every Texas household headed by a native-born or naturalized U.S. citizen.’ How many Texans are aware that they are paying this much each year because of Obama allowing millions of illegals to remain in the US? In California, the yearly cost to taxpayers in 2009 was $21.755 billion for 2,635,000 illegal aliens, amounting to $8,256 per illegal. The number of illegals in California climbed to over 3 million in 2014 for total taxpayer cost $25.3 billion a year which breaks down to around $2,370 a year for every household headed by a US citizen. That’s nearly $200 per month for illegals. How many Californians are aware that they are being billed $200 a month just to cover the costs of Obama’s illegals? In New York, the yearly cost to taxpayers in 2009 was $9.479 billion for 750,000 illegal aliens, amounting to $12,638 per illegal. Consider that when you file your federal, state and local taxes each year. Based upon a 9.73% annual increase in cost for illegals, that would mean for 2016, the cost for illegals would be around $149 billion or $1,476 per native-headed household. “Nearly 1/2 of the world’s population — more than 3 billion people — live on less than $2.50 a day. More than 1.3 billion live in extreme poverty — less than $1.25 a day. Face it, my heart goes out to these people but there is no way that US taxpayers can pay to take in even 10% of those living in poverty. We are already taxed out and our nation is on the verge of bankruptcy with a national debt of $19.3 trillion. This breaks down to $59,564 per every US citizen. Very few of us can afford to sit down and write a check to the US Treasury for $60,000 per person. Consider a household of 4, their part of the national debt comes to a whopping $238,256. The last thing we need is to be adding any more financial burden on the already breaking backs of American citizens. Until our federal, state and local governments get their financial houses in order and learn to live within their means, American needs to enforce our immigration laws and stop the flow of illegals and refugees into our country. Additionally, I believe we need to deport most, if not all, of the illegals already here. They came here illegally and are draining our resources. Just think of the difference it would make to local, state and federal budgets if they were not having to pay out the money listed above to cover the costs of illegals? The only solution is the shut down our borders stop bringing in the world’s poor and refugees. I have and still advocate that we use our military construction units to build a wall along the entire 1,950 miles of southern border and then station our military personnel to protect our border instead of protecting borders in the Middle East. America needs to come first! • All of a sudden, Islam is taught in schools. Christianity and the Bible are banned in schools. • All of a sudden we must allow prayer rugs everywhere and allow for Islamic prayer in schools, airports and businesses. • All of a sudden we must stop serving pork in prisons. • All of a sudden we are inundated with lawsuits by Muslims who are offended by American culture. • All of a sudden we must allow burkas to be worn everywhere even though you have no idea who is covered up under them. • All of a sudden Muslims are suing employers and refusing to do their jobs if they personally deem it conflicts with Sharia Law. • All of a sudden, it becomes policy that secular Middle East dictators that were benign or friendly to the West, must be replaced by Islamists and the Muslim Brotherhood. • All of a sudden our troops are withdrawn from Iraq and the Middle East, giving rise to ISIS. • All of a sudden, America has reduced its nuclear stockpiles, its Navy, its Air Force, and its number of military personnel. • All of a sudden, a deal with Iran must be made at any cost, with a pathway to nuclear weapons and HUNDREDS of BILLIONS of dollars handed over to fund their programs. • All of a sudden America APOLOGIZES to Muslim states and sponsors of terror worldwide for acts of aggression, war and sabotage that THEY perpetrated against our soldiers. • All of a sudden half of our aircraft carriers are recalled for maintenance by Obama rendering the Atlantic unguarded. NONE is in the Middle East. • All of a sudden Obama has to empty Guantanamo Bay of captured jihadists and let them loose in jihad-friendly Islamic states. He demands to close the facility. • All of a sudden America will negotiate with terrorists and trade FIVE Taliban commanders for a deserter and jihad sympathizer. • All of a sudden there is no money for American poor, disabled veterans, jobless Americans, hungry Americans, or displaced Americans but there is endless money for Obama’s “Syrian refugee” resettlement programs. • All of sudden there is an ammunition shortage in the USA. • All of a sudden, the most important thing for Obama to do after a mass shooting by two jihadists is disarm American citizens. Eighteen women have said they were sexual assaulted at a music festival in Germany. Three men from Pakistan aged between 28 and 31 have been arrested and police are still searching for three men who may also have been involved. The attacks are similar to those reported in Cologne and other cities on New Year’s Eve, when as many as 1,000 women were groped and robbed. 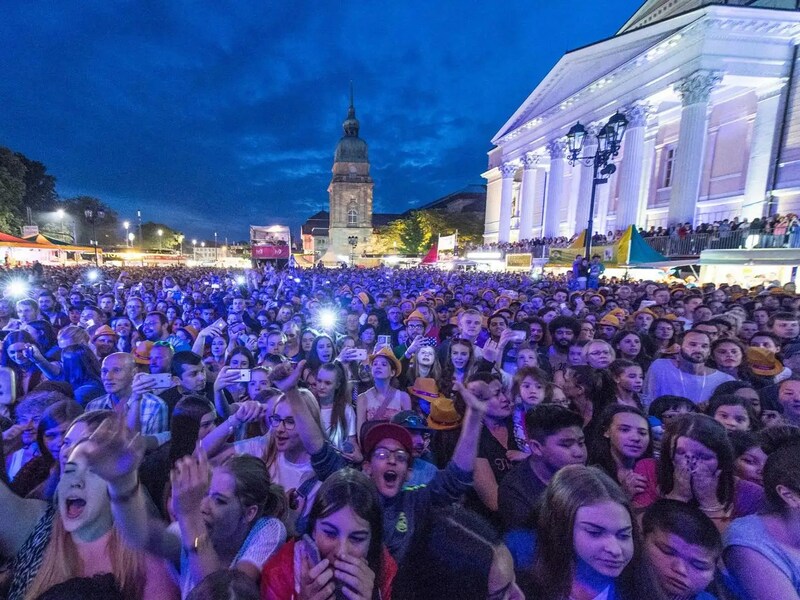 Police said three women reported being groped at the Schlossgrabenfest music festival in Darmstadt on Saturdaym saying they had been encircled then sexually harassed by a group of men. By Tuesday, 15 more women had made complaints of being sexually assaulted in a similar manner at the festival. The three men who have been arrested are asylum seekers from Pakistan. All have been charged with sexual assault charges. Police have said the number of complaints could rise and are hunting for between two and three more men. Many of the perpetrators were allegedly of North African or Arab descent and the assaults sparked a backlash against refugees throughout Europe. Protests by anti-refugee groups swept the country following the New Year’s Eve attacks and support for refugees in Europe fell. Will Hillary be prepared for that dreaded 3am phone if she wins the White House. Clinton 3 am Phone Call / Political Cartoon A.F. Branco ©2016. More A.F. Branco Cartoons at Net Right Daily. A.F. Branco Coffee Table Book <—- Order Here!